Asia-Pacific equities faded Tuesday, led by Chinese big caps, as buying appetite for global stocks appeared to be waning at the end of a roller-coaster month. The Shanghai Composite SHCOMP, -1.13% fell 1.1%, snapping a six-day winning streak. Weakness also weighed on indexes in Taiwan and Hong Kong, where the benchmark Hang Seng HSI, -0.73% fell 0.7% on declines in banks and materials producers. The tech-heavy Taiex Y9999, -0.20% ended down 0.2% after earlier rising as much as 0.9%. 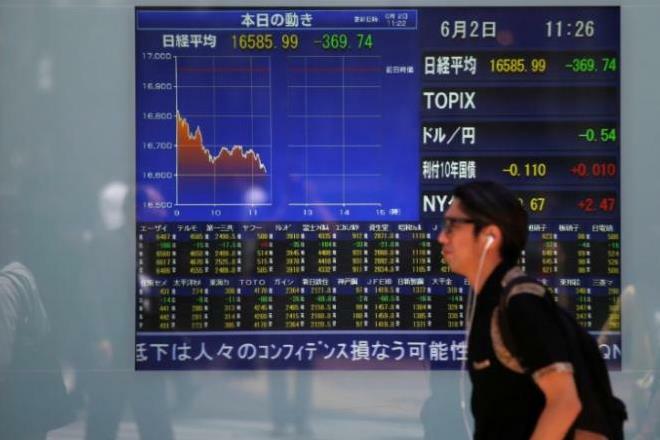 Japanese stocks, though, held up as the Nikkei NIK, +1.07% finished with a 1.1% gain. Helping that market was the yen USDJPY, +0.56% reversing some of early Monday’s gains overnight. It has risen for seven of the past nine sessions, cutting its February drop to 3.1%. Later Tuesday will be Jerome Powell’s first appearance on Capitol Hill as head of the Federal Reserve. Overall in global stocks, February saw a big early slide — pushing some markets into correction territory for the first time in two years — which was followed by steady gains that have since erased much of the decline. Take the Shanghai Composite, home to large China firms — many of which are state controlled. So far this month, the weekly moves have been at least 2%, after having just one such weekly change all of last year. But Chinese small-cap stocks extended Monday’s outperformance. The ChiNext Price Index rose an additional 0.8% after jumping 3.6% a day earlier, its biggest gain in seven months. Even so, early gains Tuesday tapered off as the day progressed. The stock moves in China come as mainland investors are still digesting news that the Communist Party plans to remove term limits on the country’s presidency, potentially allowing Xi Jinping to remain in power indefinitely.